This heavy weight hoodie is perfect for cold weather. 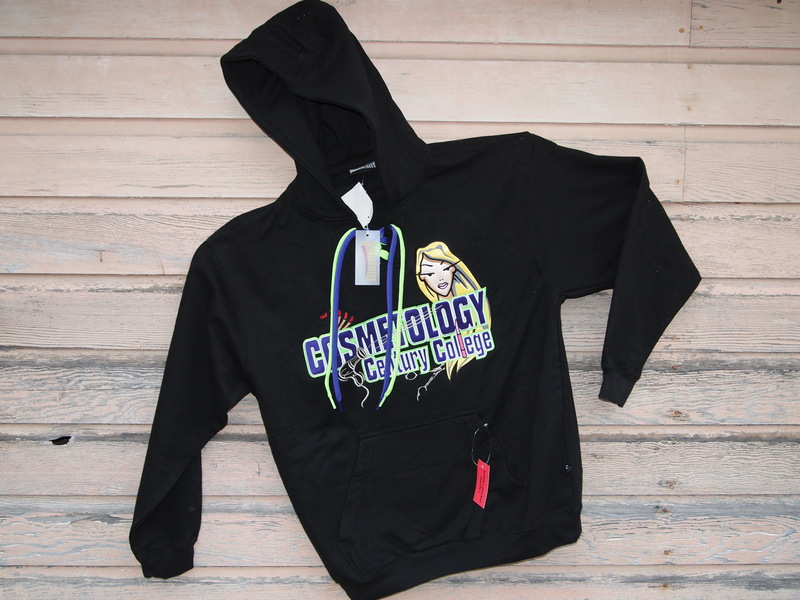 Show your Century College pride in this laced hoodie. Made of heavy 9 oz material, and accented with bold Century college Cosmetology lettering. 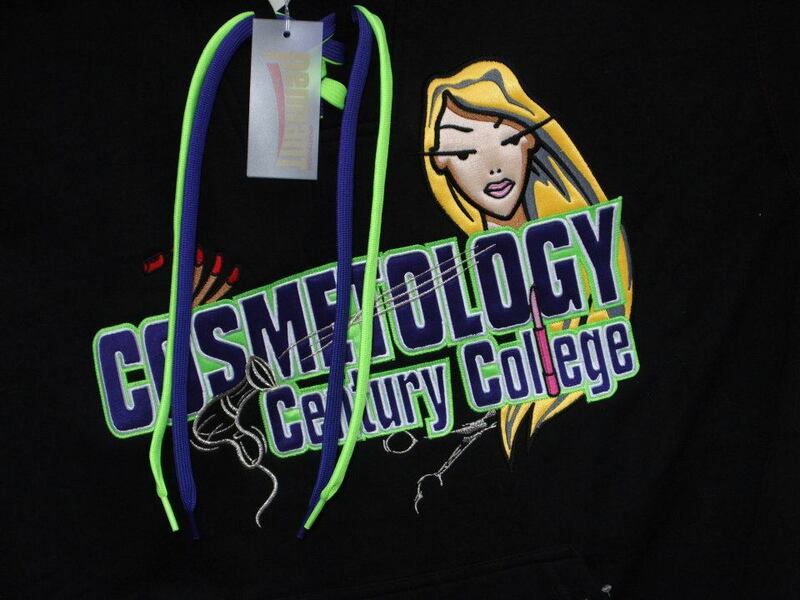 A stylish way to show your pride for students, faculty, and alumni of the Century College for Cosmetology! Shop online here for all latest clothing, apparel, and accessories. 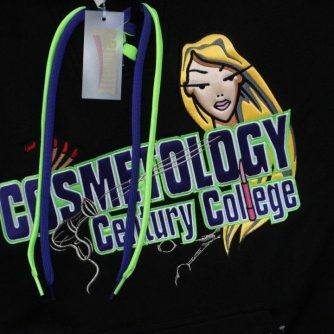 Find everything you could want from Century College of Cosmetology jackets to sweatpants, shirts, caps, and more. All put together byHisdahl's embroidery and screen printing artisans, with the same pride that you take in your school.